Manchester United manager Louis van Gaal insists he has not played a major role in Jose Mourinho becoming one of the world's most successful managers. "He talks about me and Bobby Robson and I appreciate that, but you always do it by yourself," Van Gaal said. 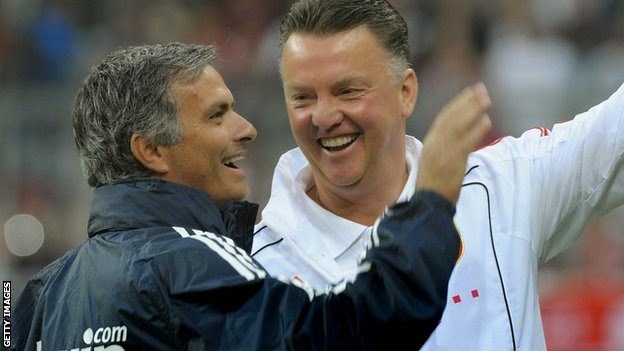 The pair meet at Old Trafford on Sunday when United face Chelsea . They first crossed paths 17 years ago when the Van Gaal offered Mourinho, then 34, a position on his coaching staff at the Nou Camp.